The 320-hp, 4.6-liter V8 has now been discontinued, as has the all-wheel drive option. And with the V8 goes adaptive steering, adaptive damping, Magnetic Ride Control, and 4-wheel active steering--all features that were offered only on the former top model. The high-performance STS-V model of previous years has also been discontinued. The rear-wheel-drive STS is now available only with a direct-injected, 3.6-liter DOHC V6 engine, making 302 horsepower and 272 pound-feet of torque. A very smooth-shifting, responsive 6-speed automatic transmission is standard, and it includes both a low first gear for strong takeoffs and a tall top gear for relaxed, economical cruising. 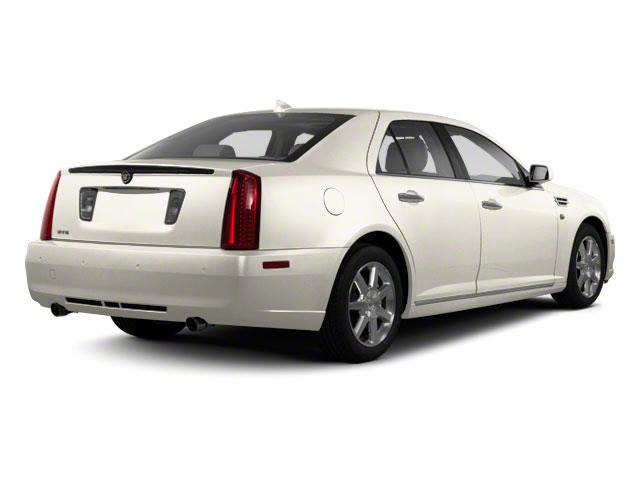 The STS has an EPA-estimated 18 mpg city, 27 mpg highway. Although the back seats in the STS aren't as large as some shoppers might assume based on the exterior, the STS has tight, vault-like construction and a feeling of solidity and comfort on the road. Front seats are very amply proportioned and supportive, and the ride quality is a near-ideal compromise between firm and absorbent. 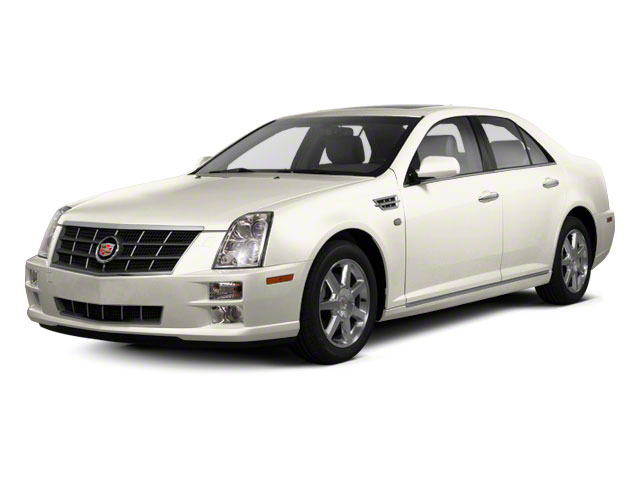 Despite the single powertrain combination, the STS is still offered in three different package variations. So-called 1SA models come as very well-equipped luxury sedans, including a dual-zone climate control system, steering-wheel controls, leather upholstery and an 8-speaker Bose sound system with satellite radio, along with keyless start, adaptive remote start and remote start. 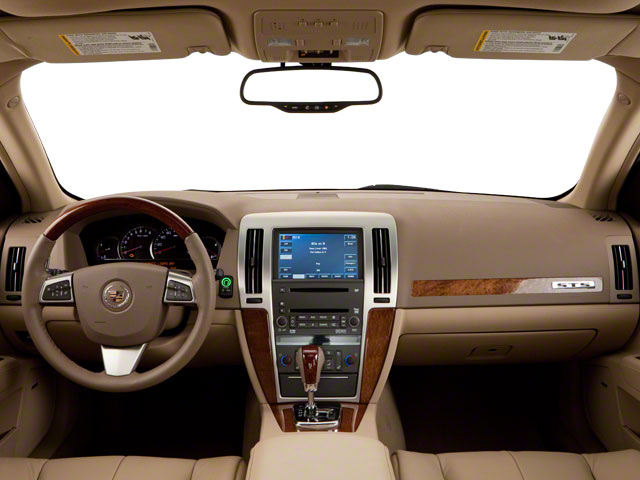 The 1SB package brings special Sapele wood trim for the center console and instrument panel, along with the steering wheel and door pulls, plus memory seat functions, polished cast aluminum wheels, a Bluetooth hands-free interface, heated and ventilated front seats, heated rear outboard seats, a universal remote, and a cargo net. And at the top, the 1SC adds some sportier features, including a limited-slip differential, automatic-leveling suspension, "premium" ZF steering gear, upgraded brakes, a performance cooling system, xenon headlamps with washers, Intellibeam high-beam control, a heated steering wheel and W-rated performance rubber on larger 18-inch wheels. All STS models come with front side and side-curtain airbags, plus one year of OnStar emergency and assistance services, including the Directions and Connections navigation system, Automatic Crash Response, and Stolen Vehicle Assistance. STS models with the top 1SC package can be optioned with a Side Blind Spot Zone Alert system as well as Lane Departure Warning--two valuable accident-avoidance safety systems. Top options on the STS include a Platinum Edition package, which brings special Olive Ash wood trim, an upgraded leather and Alcantara interior, sill plated, performance tires, Tuscany leather, and other interior accents. An excellent head-up display, which projects some gauge readings directly onto the lower part of the windshield, is also available as part of several option packages. Also available is a screen-based navigation system, combined with an upgraded Bose 5.1 Surround Sound system with 15 speakers. 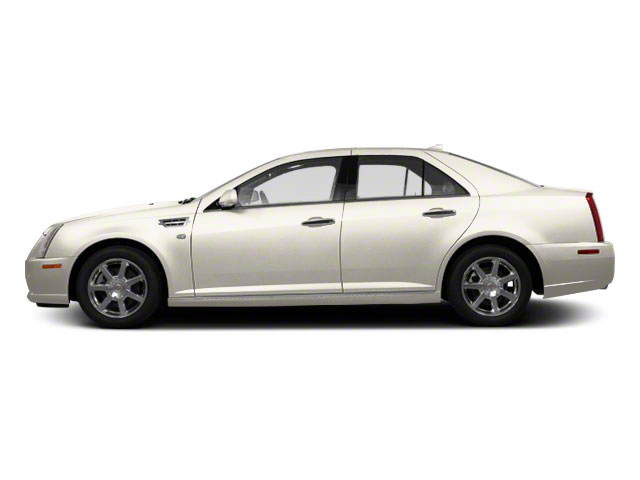 The STS boasts strong, smooth performance with the direct-injected V6, so the V8 won't truly be missed. Although many of its most innovative tech features have been discontinued, several standout features and options remain available on the STS, including Intellibeam headlamps, the head-up display, and blind-spot and lane-departure systems. Considering those features, along with the STS's robust roster of airbags and excellent handling, it's a very safe luxury sedan.